I use them in speech, I sprinkle them liberally throughout my romantic suspense manuscripts (I’m so thankful for critique partners), and I’m fairly sure I even dream in clichés. Sometimes there’s no more accurate, succinct or colorful way to describe a person, an event, a feeling or an intention. So why not use those made-for-the-occasion streams of words that flow off the tongue so easily? As authors, we’re charged with the task of identifying and eradicating these short cuts to the English language from the pages of our writing with ruthless precision. Whether it’s the second time through editing the latest work in progress, or the eighth, it makes little difference. I still find clichés hiding in there! I defend them with logic such as that one’s too perfect – it just has to stay, or if my hero wants to think in clichés, who am I to tell him he can’t? So…a blog glorifying clichés seemed the perfect answer! The spotlight today is on lighting a fire under someone. Used in a sentence it would go something like this – I’d like to light a fire under the farmer driving that big tractor down the interstate! To light a fire under – to encourage someone to get started and move quickly. There are two schools of thought as to the origins of this expression. The first has to do with chimney sweeps. In the late 1700s, master sweeps would take on apprentices, usually orphans or young boys from poor families, and teach them to climb chimneys. Boys as young as four years old climbed through hot, sooty spaces sometimes no larger than nine inches square. The work was dangerous, and the workers were prone to Chimney Sweeps Cancer due to the carcinogen in soot. Frequently, one of these young children would climb part way into a chimney only to become too frightened to continue. It was commonplace for the master sweep to light a fire under them to persuade them to continue climbing. The mule is behind the other explanation thought to be the origin of this cliché. 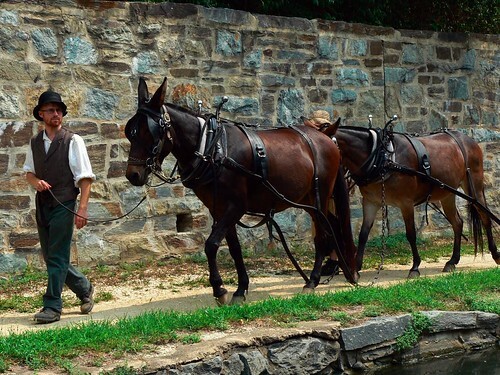 The hardest working of all four-legged animals, the mule also has the reputation for being the most stubborn and ornery. A mule can stop, brace his legs and nothing on earth can get him moving again. 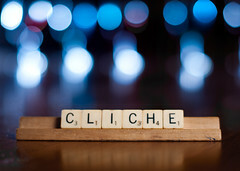 Do you have a favorite cliché that just seems to say it all? This entry was posted in Cliches and other forbidden fruit and tagged Chimney Sweep, Mule. Bookmark the permalink. 11 Responses to Light a Fire Under that…Mule? My favorite and oft-used cliché . She may light a match when I bray. LOL!! Lorraine, you are one of a kind, my friend! Oh wait – is that another cliche? Great blog. I always wondered the origin of some of these cliches. It’s trivia at its best! Thanks, Lesley. Ha! I love it, Trish. Thanks for sharing. Dixie, Great post! Keep ’em coming! Thanks for stopping by, Paty. This post really tickled my funny bone and made me scratch my head in wonder. Ha! I enjoy learning the origin of sayings. Interesting post, thanks! PS I learned of this post through a share from Paty Jager. I also shared a link to my Facebook page. It’s good to encourage one another. No cliche intended. I’m glad you enjoyed, Danita. Thanks for coming by.